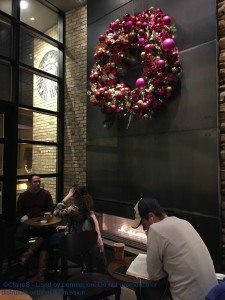 A regular reader of this site was just on a vacation in Chicago, and took pictures of the amazing Oak and Rush Starbucks. 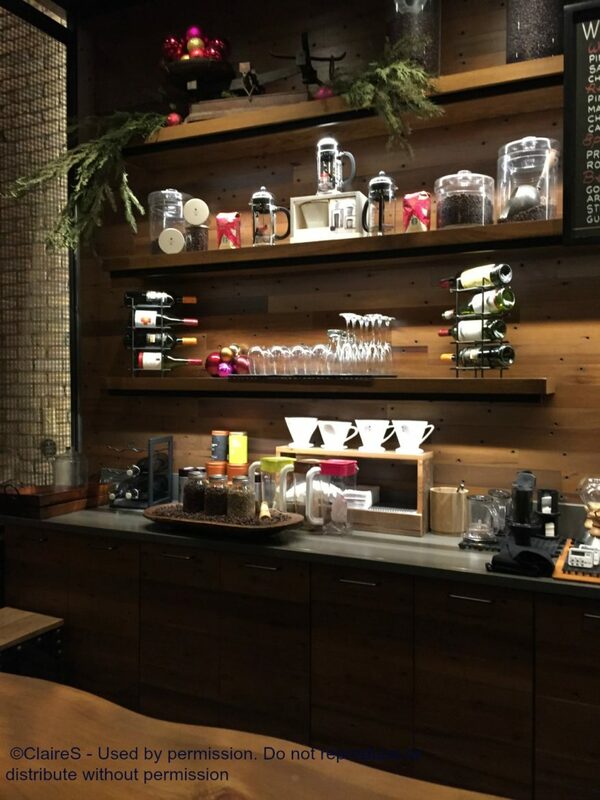 As you can see, it’s both a Reserve Starbucks, as well as an Evenings Starbucks location, meaning that it offers small plated food, and beer and wine. These photos are strikingly beautiful. I simply wanted to share them here. Hope you enjoy them too! 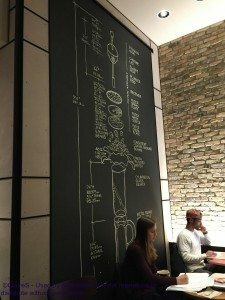 Your Chance to Enter to Win a Starbucks Roastery Card. Beautiful store! Thanks for sharing the pictures. You are welcome Becky! I appreciate so much these comments. There are tons of people reading this site – the most recent giveaway with over 125 comments kinda gives you that sense – but I love it when people take the time to weigh in on the non-giveaway articles. It reminds me that others have the same enthusiasm as me, and guides me in writing future articles. 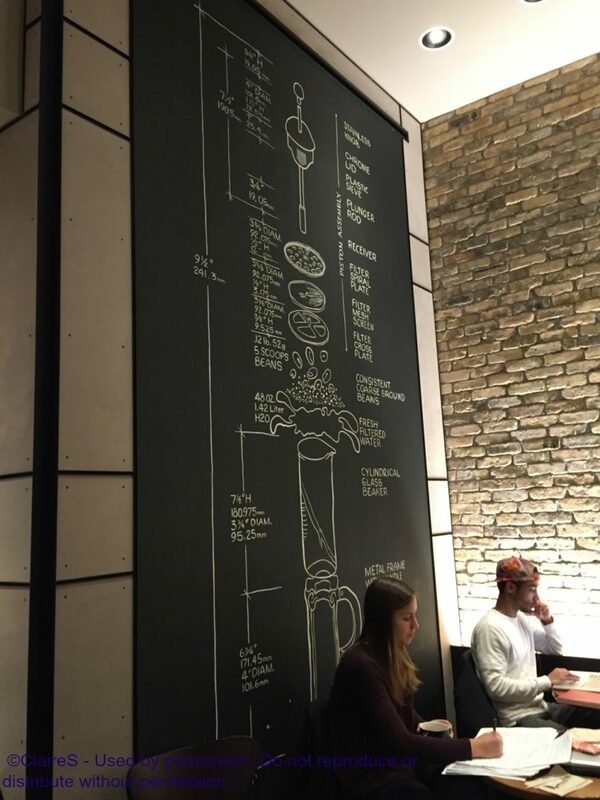 This store is absolutely amazing- love the wall! But everything about it is welcoming. Love the style. Chicago readers you are lucky for sure. Thank you Purple1! And like above, thank you for weighing in in the comments on more than just the giveaways! This is in the “gold coast” area of Chicago >>>>> Gold Coast coffee. Hooray, finally a Starbucks I know! I was just there last weekend. It really is a lovely Starbucks, but these photos make it look even more amazing. The second floor has a small balcony that is great for people-watching. I don’t get down there very often lately, but it’s a wonderful store. Has wine and small plates. The baristas are very friendly. 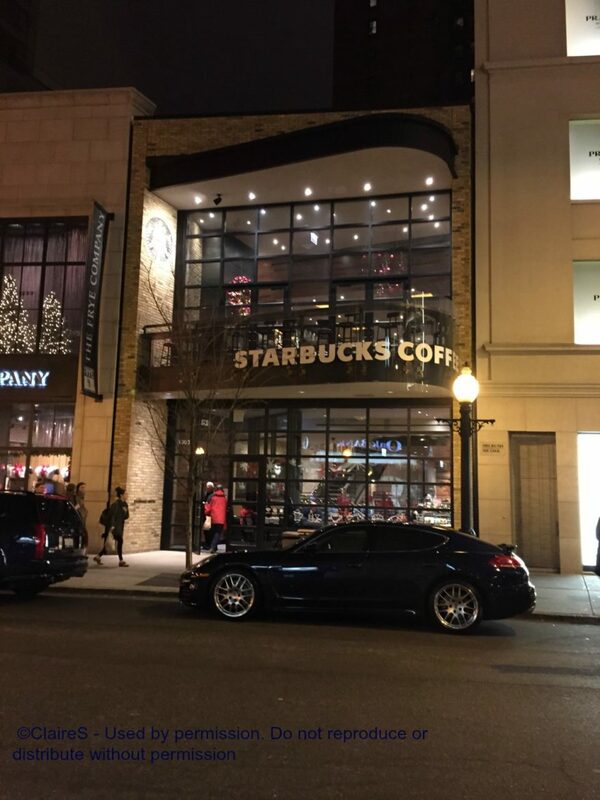 I can’t imagine how much money Starbucks spent here — this store moved about 1/2 or one block away a while ago. Maybe a year or two ago? 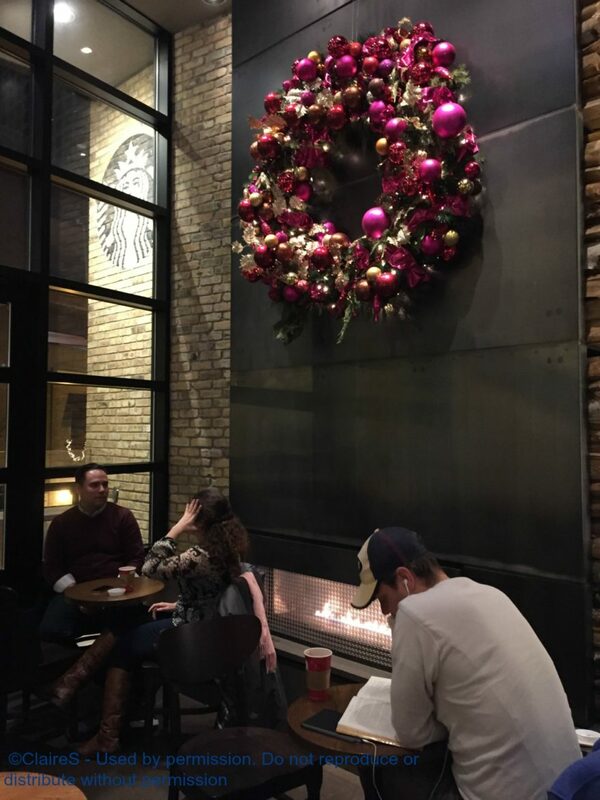 I’d love go study at a Starbucks that beautiful. Seems like a nice, relaxing place and it is awesomely decorated. Beautiful pictures and what a breathtaking store. I love that third picture. Wow! 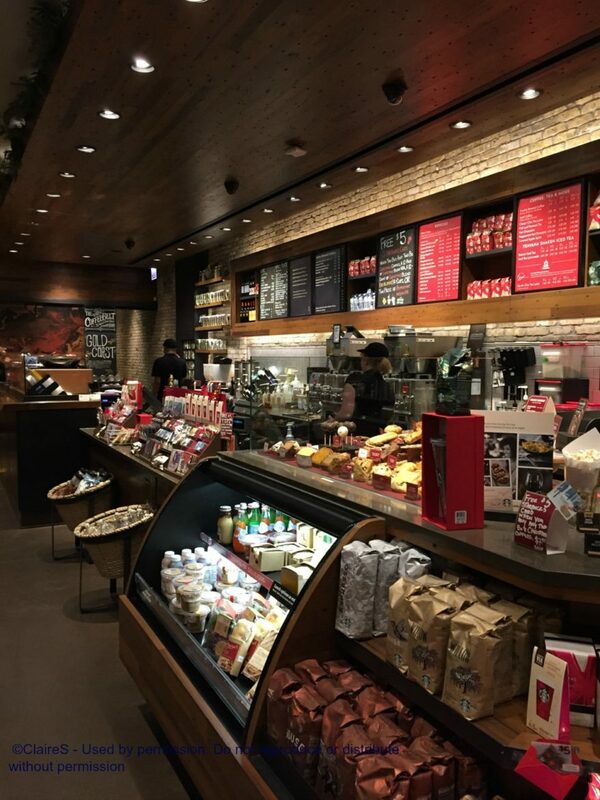 This Chicago Starbucks is absolutely gorgeous!! That’s the Starbucks I meet out-of-towner friends at who are visiting! It was actually one of the two stores in the city that I know of that had the 99 Starbucks Cards, so I bought two sets there! 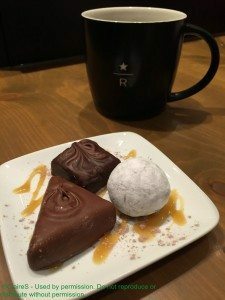 I wanted to try the Double Chocolate Brownie Bites but they were out so we had the Truffles instead. I loved the chicken skewers when we visited the Evenings store by the symphony center and wish we’d gone back to try the flatbreads and the mac/cheese. I couldn’t believe that the skewers were cooked in the oven that everyone has! So neat! I’ve never been to this store. Unless you live or work in the immediate area, or are in town visiting, it’s definitely worth the trip. There is so much hustle and bustle in that area. People like myself live on the outskirts closest to the suburbs for a good reason. However…… Every so often it’s nice to make a trip down that way. I keep promising too do just that. @Claire (We walked to Oak and Rush from Navy Pier so I don’t recommend doing that!) LOL! I wouldn’t recommend that this time of year, but during the right time of year…… There is plenty to see between Point A and B. The Rush and Oak could be quite interesting in the summer evenings. Nice pics Melody! I can’t believe I have to go through you to see the goings on in my own city. It’s great to see Denise back! The nearest “L” stop is about 5 blocks away from this store, but I still make the trek every couple of weeks just to say “hi” to the great partners that work there. Definitely worth the stop if you’re ever in the area. Wow, I will definitely try to visit this store next time I am in Chicago! Thanks for posting the pictures. I am addicted to not only Starbucks products but collecting the cards with my kids. This one would be a lovely additon to the collection. 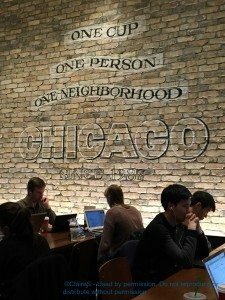 Been to this starbucks many times, one of my favorite in chicago! 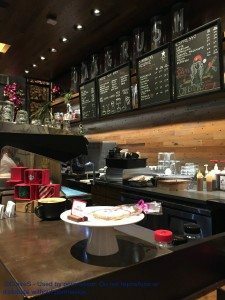 I try to go to a new starbucks whenever I can and I find myself coming back to this one. 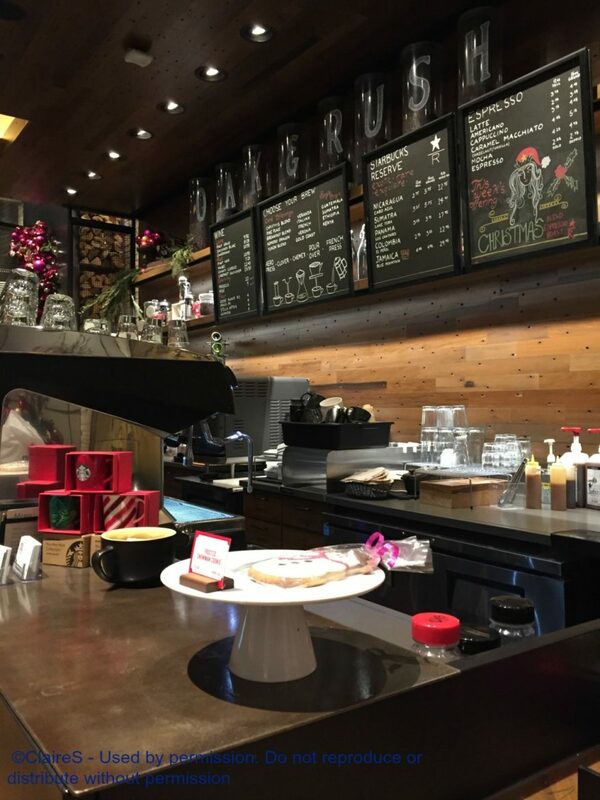 The ambiance, views, and the baristas are top notch! Even celebrities stop by this particular starbucks, most likely because it is located in the Gold Coast area. I actually held the door open for Giuliana Rancic and her kid over the summer, was slightly star struck to say the least. Definitely worth the trip for those who enjoy tasteful interior design as well as great view from the balcony.